Readers Question: Discuss the impact of a decrease in government spending? 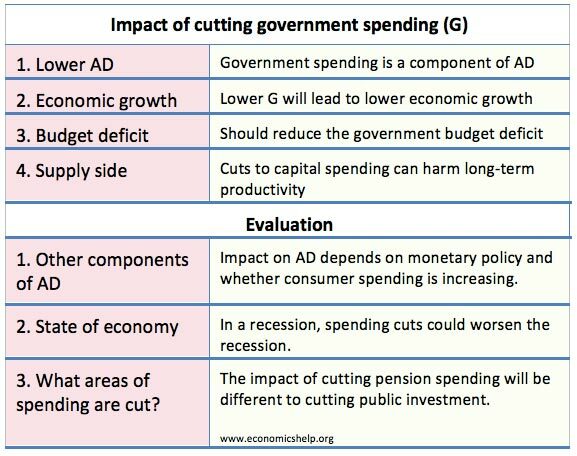 If the UK government cut government spending, it would have a significant impact on both aggregate demand (AD) and the supply side of the economy – depending on which areas of public spending were cut. 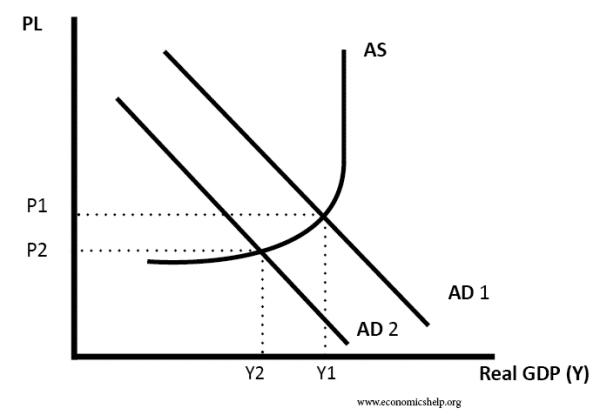 Firstly, government spending (G) is a component of Aggregate Demand (AD). 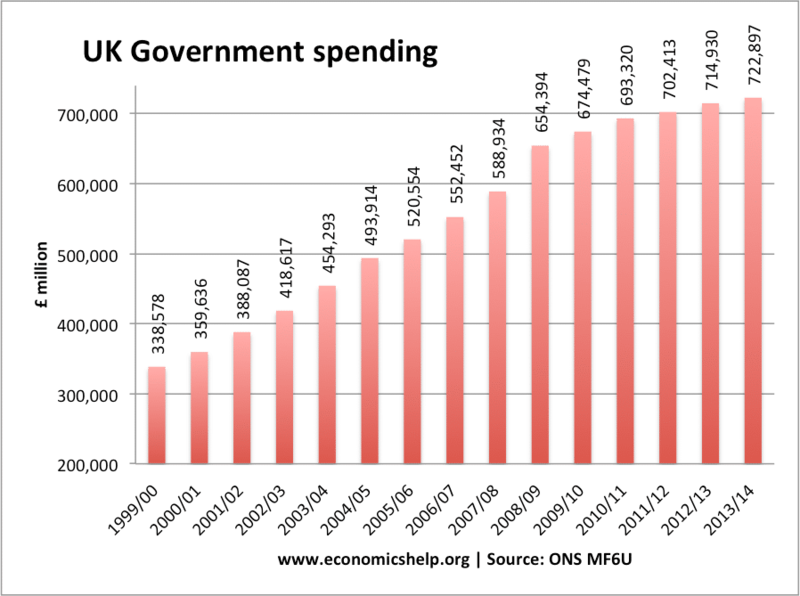 In 2013/14 the UK government was forecast to spend a total of £722.9 billion – So (G) is a significant component of AD. Government spending is approx. 42% of GDP. Of this government spending, we can split up spending into two components – current spending and capital spending. Capital spending = £51.3 bn. 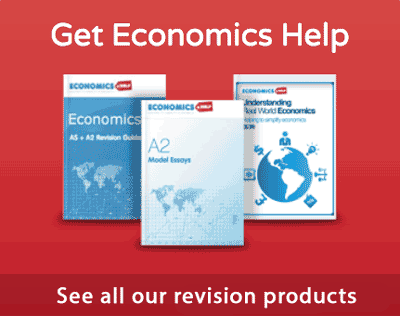 Capital spending involves investment in increasing capital stock and productive capacity, e.g. building new roads. 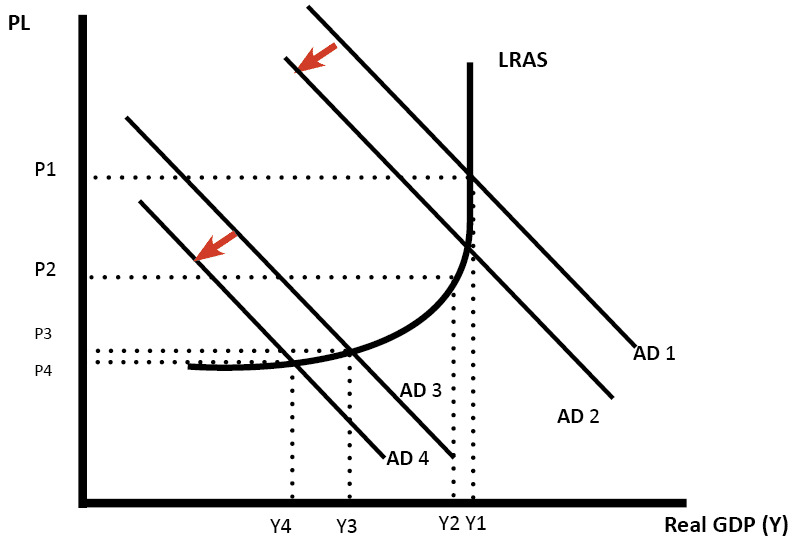 Ceteris paribus, a cut in government spending would be expected to have a negative impact on aggregate demand. We would expect a fall in AD. This would lead to lower economic growth and lower inflation. However, if other components, such as consumer spending were rising – then a cut in government spending may just reduce the growth of AD. Impact of a fall in AD causing lower real GDP. The demand side impact of a cut in government spending will depend largely on the state of the economy. If the government cut spending when the economy is already in difficulties (Y3), then we will get a significant fall in real GDP. 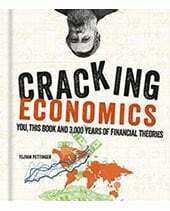 If the government cut spending when the economy is booming (e.g. at Y1) then the spending cuts help to reduce inflation, but only cause a small fall in real GDP. This is important. 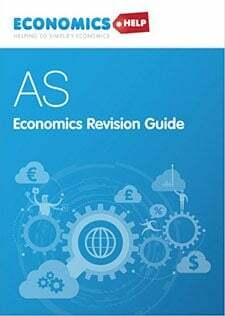 For example, when European countries cut spending post-2011, this caused a serious slowdown in the economy, because other components of AD were also weak. When Canada cut government spending in the mid-1990s, they were able to reduce their budget deficit without harming economic growth – because Canada was benefitting from strong export growth and looser monetary policy. The problem is that there is often political pressure to cut government spending when the budget deficit rises in a recession. In order to balance the budget, government cut spending, but this is at a time when the economy is weak. 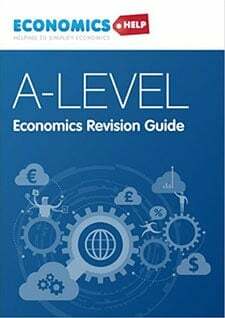 For example, in 2011, the UK had a weak economic recovery, but the world economy was still growing slowly – export demand was low. Also, the banks were still reluctant to lend after recovering from the credit crunch. In this environment of weak export growth, weak investment and lending, cuts in government spending had an adverse effect on the economic recovery. It also depends on monetary policy. If the government cut spending, but at the same time, we can have a loosening of monetary policy – cutting interest rates – then in this case AD could continue to rise. 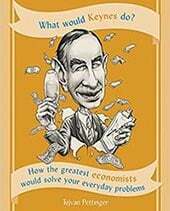 If monetary policy can nott be loosened (e.g. interest rates already zero, then cutting spending will have a bigger negative impact.) In 2011-12 when Eurozone economies cut government spending – there was no monetary loosening, so the effect was more damaging. (AD=C+I+G+X-M). If C and I are rising, a fall in G is less important. 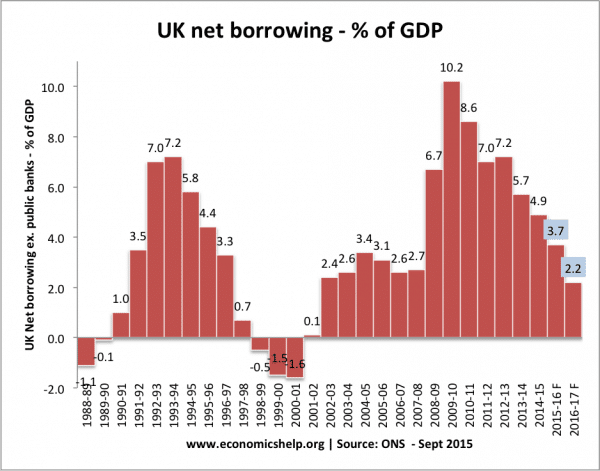 One impact of cutting government spending is that it will help reduce annual government borrowing and help reduce the total public sector debt. In fact, some have argued, there are times when it is essential to cut spending because government borrowing can become dangerously high and the bond markets may start to downgrade government debt if they feel there is a chance of default. However, if a cut in government spending does cause a further economic downturn, the improvement in finances will be limited. This is because if spending cuts cause lower growth, it will lead to lower tax revenues and higher spending on benefits. Where is government spending cut? Minor departments, such as police and local authorities. Some government spending, e.g. roads, infrastructure, transport have an important effect on the long run productivity of the economy. 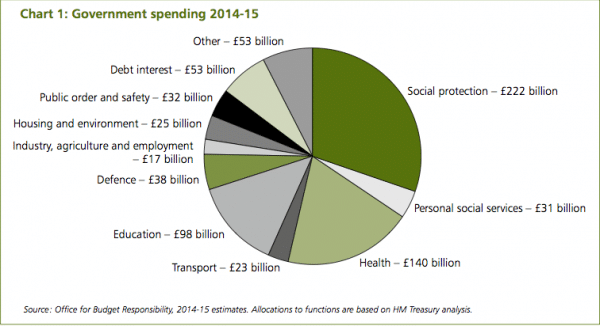 If we cut these areas of spending, then the UK’s productive capacity may suffer in the long term. (Long run aggregate supply AS will increase at a slower rate). However, capital spending is often the easiest place to make spending cuts, because, in the short term, people don’t lose out. If you reduce pensions, people notice straight away. If you reduce capital investment, it will affect people 10 or 20 years in the future. From an economic perspective cutting spending on Social Security (£251bn 2014) will have the least impact on economic productivity. In fact, you could argue cutting spending on welfare benefits might actually increase the incentive for those on benefits to join the labour force. This could actually increase labour productivity. However, cutting spending on welfare benefits risks increasing the level of inequality and relative poverty. If we cut spending on education, then again there may be a negative impact on labour capital in the long-term. Some argue there is a lot of government spending that is inefficient. If we cut this red tape and bureaucracy, then the economy will become more productive because the private sector is more efficient at spending. But, many government departments claim they have already been squeezed, and any further spending cuts will impact on front-line services, e.g. job cuts. What do we mean by spending cuts? One aim may be to reduce government spending as a % of GDP. Assuming GDP growth of 2.5%. Government spending can increase by 1.5% in real terms and still be a smaller share of the national cake. Is there ever a bad time to cut spending in the eyes of a right winger? They have the same answer to every problem. We have a demand problem. In a recession private sector spending drops off, if public sector spending also drops off you will have even fewer customers. Do you think a company is going to hire if there are fewer customers? Why would anyone hire you to sit around and pick your nose with no customers..?